Indian Posts: 100 Indian train stations to get high-speed Wi-Fi !!! 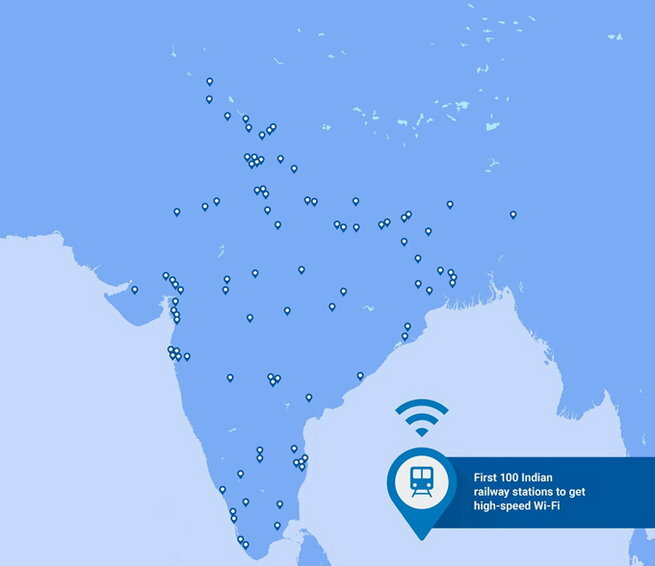 100 Indian train stations to get high-speed Wi-Fi !!! Google, in a groundbreaking attempt to digitalize India, has announced a new project to provide free WiFi services at 500 train stations by next year. Reports also claim that Indian Railways will bring this cyber revolution with Mumbai Central. 100 stations will get free internet services initially and, then, it will be expanded to other 400 by next year. This image was shared by shared by Google CEO Sundar Pichai and reveals the list for first 100 stations that will have high-speed Wi-Fi by the end of 2016.